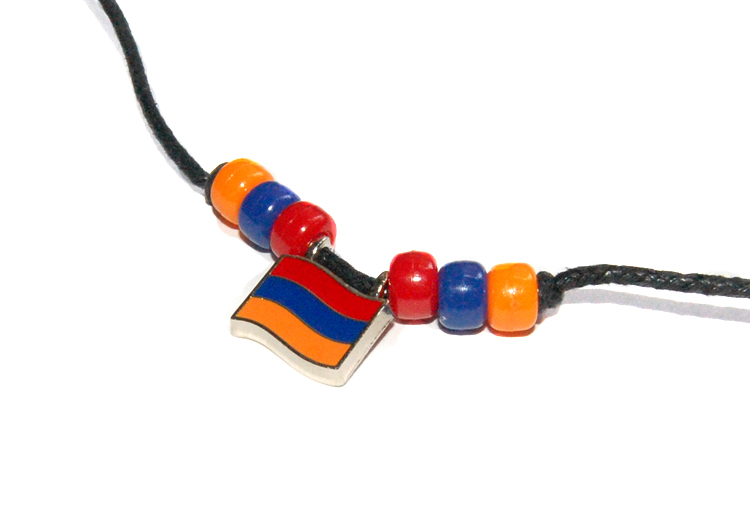 This necklace features an Armenian flag charm with red, blue and orange beads on either side. It is set on a thick black string that can be adjusted to the length that best suits you. Perfect for any little girl or boy in your life. Flag and bead design measures 2 inches across. Set on a 2 foot string.